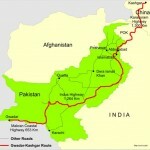 The Independence of India came with the pain of partition and the 1947-48 Indo-Pak war. 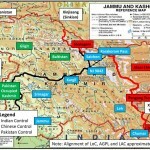 Soon after independence, Pakistan attacked Kashmir with tribals from the North West Frontier Province (NWFP) backed by the regular Pakistan Army. They were few kilometers away from Srinagar airport when Indian soldiers fought gallantly to drive them back. The Government wanted to honour these brave men, but there were no gallantry awards available. During the Dominion period (1947-50), the British King remained, theoretically, the head of state. Pre-1947 awards could have been awarded, but awarding personnel of opposing forces with the same medals against each other seemed ridiculous to both New Delhi and London. Finally, based on specific proposals, new awards known as the Param Vir Chakra (PVC), Mahavir Chakra (MVC) and Veer Chakra (VrC) were finalised in June, 1948. But the Governor General of India could not institute the awards, as India was still a dominion. So a draft of the Royal warrant was sent to London for approval of the Crown in June 1948. But how could the King sanction awards for a war between two members of the Commonwealth? Moreover, he would not have a symbolic presence on the medals, and the draft warrants were never implemented. A ceasefire came into force on January 1, 1949. Prime Minister Jawaharlal Nehru urged the Governor General Raja Gopalachari to approve the institution of the awards, but Rajaji thought it was inappropriate as India was still a dominion, and advised Pandit Nehru to wait till January 26, 1950 when India would become a republic. After crossing these constitutional hurdles, Major General Hira Lal Atal asked Mrs Savitri Khanolkar (popularly known as Savitri Bai) to design these medals. Major General Atal was given the responsibility of designing and naming the gallantry awards of independent India. He chose Mrs Khanolkar for her immense knowledge of Indian mythology, Vedanta and languages like Sanskrit, Hindi and Marathi. Mrs Khanolkar was born Eva Yvonne Linda Maday-de-Maros in Switzerland on 20 July, 1913, to a Russian mother and a Hungarian father. From her childhood, she was fascinated by both India and its culture. In the winter of 1929, on a skiing holiday at Chamonix she met Vikram Khanolkar, a young cadet of Royal Military Academy, Sandhurst. They fell in love. In 1932, Eva came to India, converted to Hinduism and got married to Vikram. Then she learnt fluent Hindi, Marathi, Sanskrit, classical music and Kathakali dance. Hindu philosophy was her passion. She wrote two books – ‘Sanskrit Dictionary of Names’ and ‘Saints of Maharashtra.’ For the design of the medal, she selected the mythological weapon of Indra, the Vajra; it was made by asthis (bones) of Maharishi Dadhichi who happily gave his bones to Indra to make a amogh (unfailing) weapon to kill Vitra. The design has four replicas of the Vajra surrounding the State emblem including the motto embossed in the centre. On the reverse, the words “Param Vir Chakra” are embossed in Hindi and English, separated by a lotus. 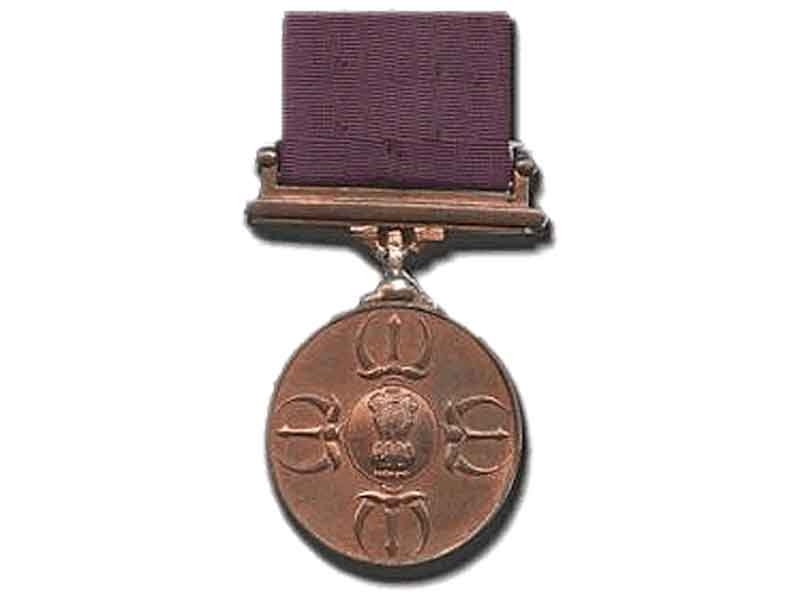 While designing the medal, Savitri Bai did not know that the first PVC would be awarded to her daughter’s brother-in-law, Major Somnath Sharma from the Kumaon Regiment. Major Sharma was a battle-hardened soldier who had fought in Arakan, in the Burma Campaign of World war II and had been Mentioned in Dispatches. Bravery and leadership of highest order was displayed by Major Sharma for which he was awarded the first Param Veer Chakra on 26th January, 1950. His last message to headquarters was “The enemy is 50 yards from us. We are heavily outnumbered. We are under devastating fire. I shall not withdraw an inch but will fight to the last man and the last round.” Of the 21 awardees, 20 are from the Indian Army and one from the Indian Air Force. Grenadiers Regiment have received the most number of Param Vir Chakras, with 3 awards, one each for the Indo-Pakistan 1965 war, 1971 Indo-Pakistan war and the Kargil War. The Gorkha Rifles have also received three awards, with the 1st Gorkha Rifles (The Malaun Regiment), 8th Gorkha Rifles and 11th Gorkha Rifles each receiving one. It is our duty towards our present and future generation to make them aware of these selfless men and their contributions in giving us the opportunity to live our dreams. It’s time kids and even grownups learn about real heroes of real world. So, let’s do justice to the stories of our brave soldiers. Read about how these men lived, fought and even laid down their lives for their country. In a rare comic book series “Param Vir Chakra” written by Major General Ian Cardozo. don’t wish for pram vir chakra, it is only given when India is in state of war. just wish to serve the country. nobody above wished for chakras. I am making a writeup on Param Vir Chakra through postage stamps, etc. I would like all help to complete this. I am a member of mysorephilatelics, Mysore which was established in 1974 and is still active with all-India presence. I would suggest that at least the names be written below the photos.